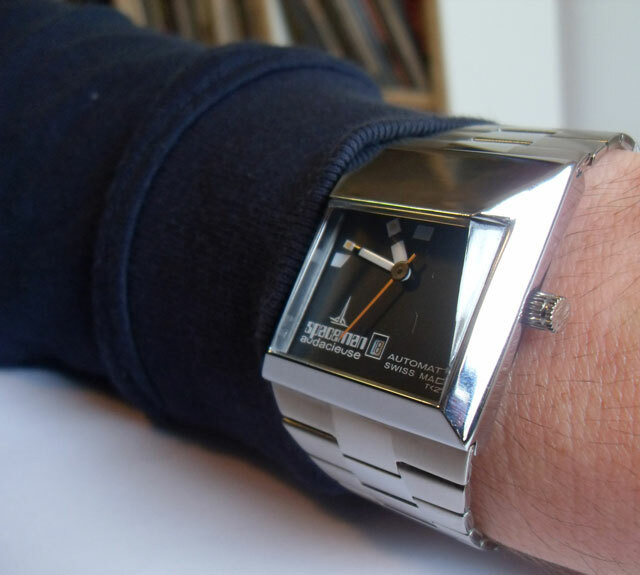 You regular visitors know I love my Spacemen watches, and this is probably the finest example I’ve seen for a long time. It’s certainly my favourite. The combination of the black face on the metallic steel just does it for me. 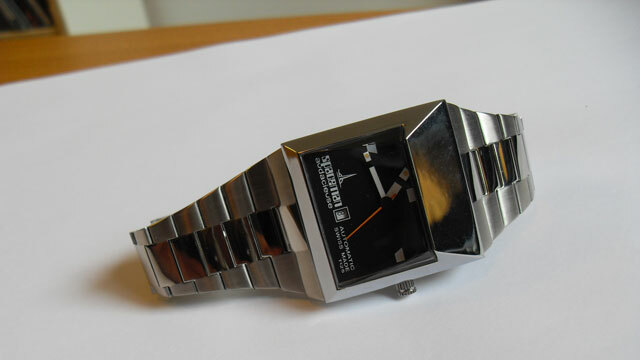 This watch is A1 brand new old stock – unused since it was produced in the 1970’s. 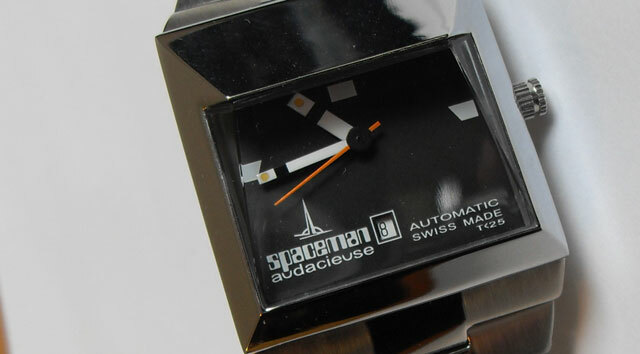 It has all the classic hallmarks of the Spaceman range: the great font, the great logo, the branded bracelet, the unusual shape of the bracelet – all on a black face. 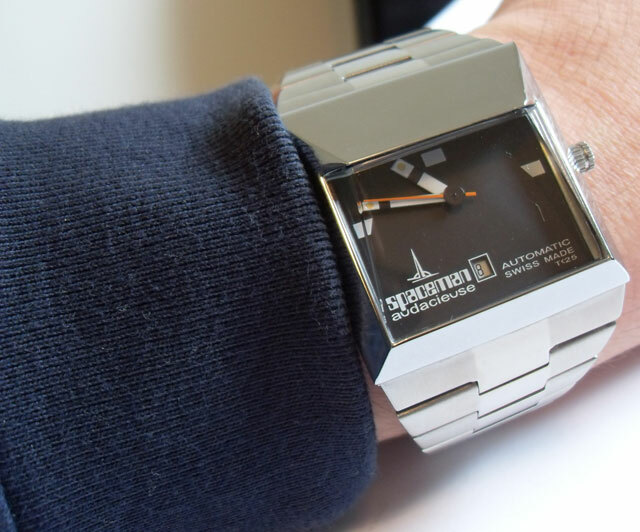 This is a truly cracking example of a Spaceman watch, and these watches have just rocketed in value over the last few years – and continue to do so. Enjoy the photos! 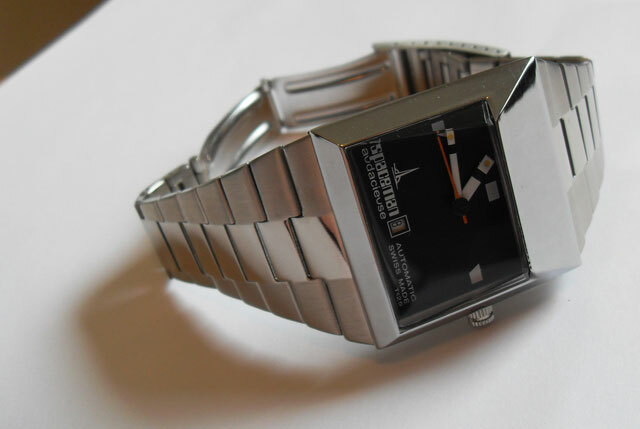 hi there, is this watch for sale? Hi Adrian, yes it is. is the watch still available? Yes. Yes. Yes! How much and how can I get my filthy little hands on it?! 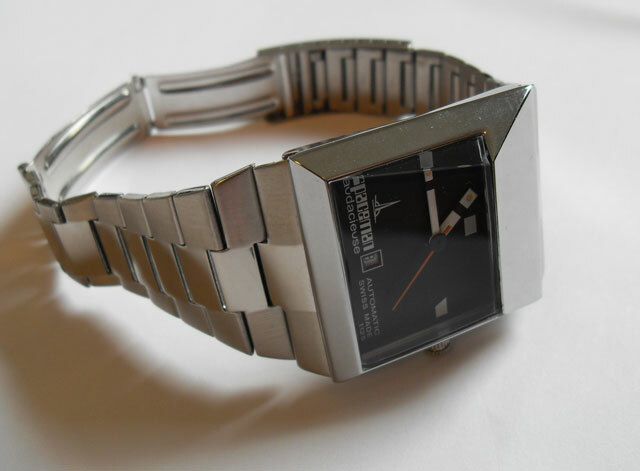 Hi there, i got one of this watch also, but do you know where can i find the steel straps?? 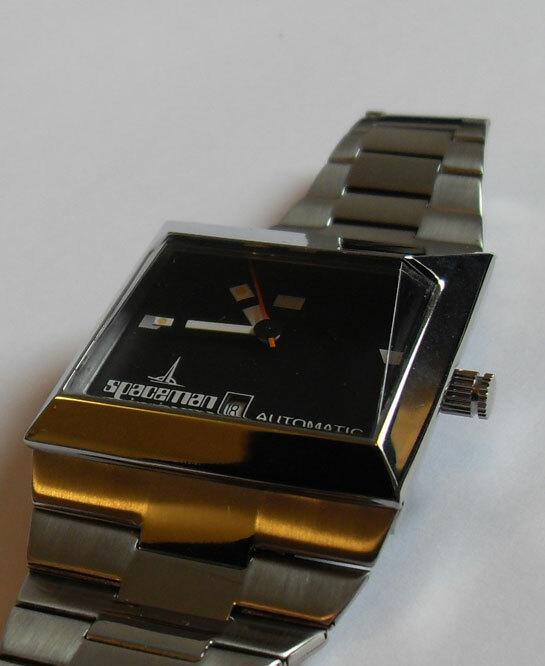 I have 3 of these watches and I LOVE them! I will be keeping them forever…so hard to find and ahead of their time! 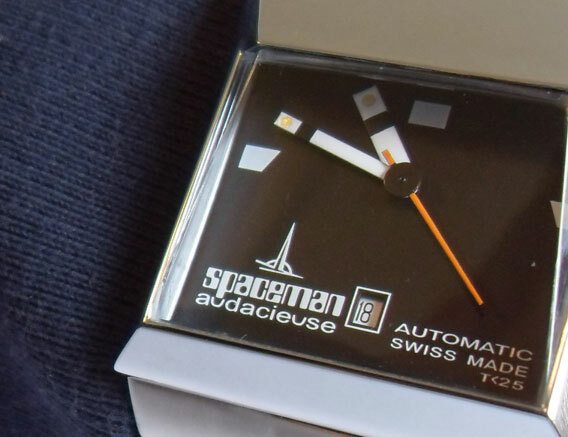 Hi, you really do have some beautiful watches…i’ve been looking at buying a spaceman watch for a while now and was wondering if you still had the watch and if it was still for sale. If so so could you please advise how much you would sell it for and delivery to the uk mainland. What is the difference between the logo’d Spaceman and un logo’d? And why do some have a White background to date and some White? I would dearly love one of these in my life!! Can you help?